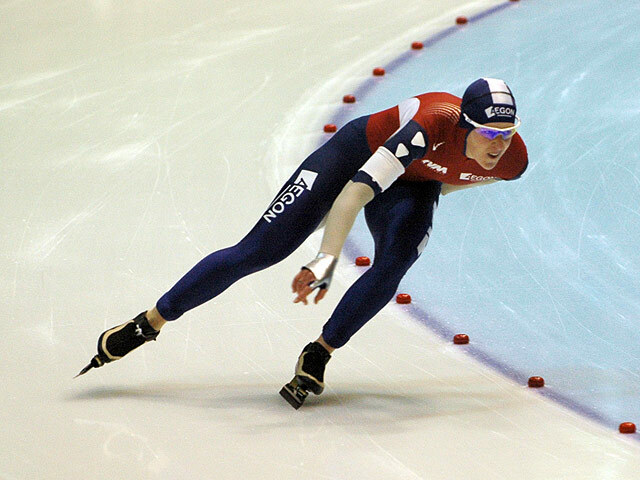 Thialf offers more than 150 years of pure skating experience at top sport level. During the big skating events you will feel the special skating atmosphere in and around the stadium. In the stands cheering frenetic fans and you feel the pure emotion when your heroes pass by very close on the fastest ice in the Netherlands. 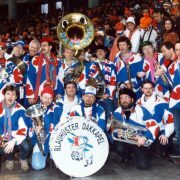 Because of the special skating atmosphere, the orange-filled skating enthusiasts and the well-known mopping orchestras, the events are known as the Frisian Carnival! Visitors can easily reach Thialf by public transport. In addition, there is ample parking. During this event it is possible to spend the night on one of the Sleep ships that are in port. Sleeping on a sleeping ship is special and beneficial. Check our website for all possibilities. 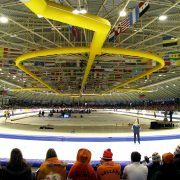 More information about World Championship skating in Thialf. Sleeping ships during World Cup skating During this sport event there is a sleeping ship in Heerenveen. You can stay here comfortably and economically during these days. The nights are including breakfast.